This book is a personal account of Michael Harris as a part of the Operation Redwing, a 1956 series of U.S. nuclear tests. Over 12,000 military personnel and civilian employees participated in these nuclear tests without much knowledge of effects nor consent. The book is 288 pages and you can test-drive it by downloading the prequel (67 pages) A NUKED: I Was A Guinea Pig For The U.S. Army, An excerpt from the memoir THE ATOMIC TIMES on Amazon. Read our review of The Atomic Times here. For further information, check out the film Military Effects on Operation REDWING, available for free on the Internet Archive site. Primo Levi was a twenty-five-year-old chemist living in Turin, Italy when he was arrested as an Italian Citizen of Jewish Race and deport to Auschwitz. Survival in Auschwitz chronicles the ten months that Levi spent in the death camp and the triumph of human spirit that kept him alive. This work is a thorough look at the life of the influential Nazi officer of Goebbels’s own meticulous diaries. Longerich leaves no notable stone unturned in this 992-page work. While the delivery is in the nature of non-fiction work and perhaps dry and academic, the reader has a feeling at the end of really having learned something about this very interesting and horrifying period of history. Read the review of “Goebbels: A Biography” here. Mildred Dunlap is a generous and loving soul, but in the eyes of the townsfolk, already has one strike against her—in the tradition of her father before her, she doesn’t go to church. When news of Oscar Wilde’s conviction in England hits little Red River Pass, Nevada, she discovers that she might have something else to fear. Edra, known to all as Mildred’s cousin, is actually her life partner. With the townsfolk calling for Wilde’s blood, what will happen if they find out about her? She has plans to ward off the busybodies but can she pull it off or, in the end, will everything be made worse? Read a review of “The Persecution of Mildred Dunlap” here. Check out our interview with the author Mildred Dunlap. The Irish Revolutionary Leader Michael Collins died on August 22, 1922, at Béal na mBláth, a small village in County Cork, Ireland. Author S.M. Sigerson delves beyond the official story of an ambush presenting a new picture of the event by exploring the evidence and eye witness accounts. Can Sigerson crack this cold case? Read the review “The Assassination of Michael Collins” here. This memoir by Scott Terry describes growing up in the 70s, in a home ruled by a tyrannical step-parent and a restrictive religion. Readers follow Terry to adulthood and through his personal struggle with his beliefs and sexuality. Read the review “Cowboys, Armageddon, and The Truth: How a Gay Child was Saved From Religion” here. Madu is a young African warrior-in-training who craves the approval of his stepfather. Tom is a young English boy on a slave ship that has gone hunting for their next human cargo. Two tribes are at war, as the tribe opposing Madu’s makes a deal with the English to give their prisoners into the slave trade. Madu is confused and frightened when he is taken as a prisoner to the slave ship. When the tables are turned will Tom and Madu be able to form a friendship which will have them survive?Read the review “Nobody’s Slave” here. 1963 was a key year in the Civil Rights Movement. Rev. Williams highlights events and personalities of the day that may not have seemed connected in his book but contributed to the advance toward equality. Read a review of “1963: Year of Hope and Hostility” here. Former BBC Reporter, John Sweeney, takes readers on a journey into the world of Scientology. Despite intimidation and harassment from church leaders, Sweeney bravely ventures forth to uncover a complex world where high-level members are used as a public face to mask the true insanity of the theology and its members maintained by fear. 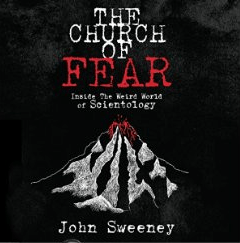 Read a review of the audio book “The Church of Fear” here.